Raspberry leaves have been used for hundreds of years as a medicinal herb during late pregnancy. They contain a uterine tonic which helps prepare the uterine muscles for labour and thereby potentially easing the process of childbirth. Raspberry leaf also appears to have the effect of relaxing the uterus muscles during labour, it can help prevent bleeding gums often experienced in pregnancy, as well as calming cramping of the uterus. In a study carried out in Australia, 192 first-time mums were given at random either a 1.2g raspberry leaf tablet or a placebo twice a day from 32 weeks of pregnancy. 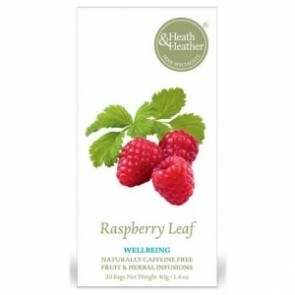 The herb had no harmful effects on mother or baby, and those women who had taken raspberry leaf tablets were found to have a shorter second stage of labour and a lower rate of forceps delivery (19.3% versus 30.4%). However, far more research is needed to confirm these results. (Information from BabyCentre.co.uk). It is advisable not to use raspberry leaves until the last two months of pregnancy (32 weeks) because of their stimulating effect on the uterus. Always seek advice from your midwife or doctor before use.